Whether you're building a new house or considering a new heating and cooling system for your present one you should consider the economic and environmental advantages of geothermal technology. 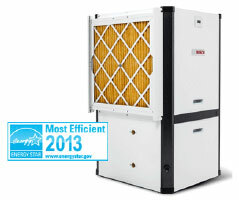 It is the world's most advanced and cost-efficient heating, ventilating and air-conditioning (HVAC) system for a new or existing home that gives year round comfort. 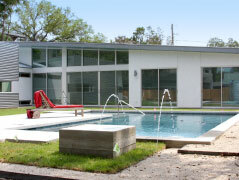 Minimal maintenance enhanced home value and the endorsement of the US Department of Energy (DOE) and the Environmental Protection Agency (EPA). 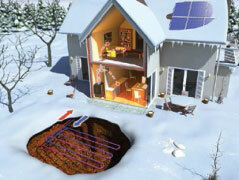 Geothermal heat is a totally renewable natural energy source that surrounds your property that can be harnessed. 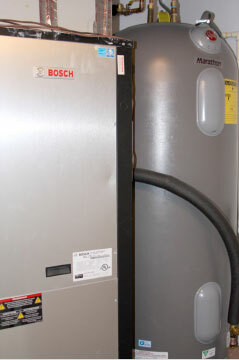 A Geothermal heat pump requires very little maintenance and is an exceptionally cost effective way to both heat and cool your home with typical savings of up to 70% on your current utility bills. Geothermal heating and cooling systems are the most energy efficient method for heating, cooling and providing hot water on the market today. Geothermal pumps can provide low-cost comfortable heating & cooling that use sustainable energy, causing no direct emissions or other damage to the environment and are suitable for a variety of different properties. As you can see from the video clip the earth absorbs and retains heat from the sun on a permanent basis which means that the temperature underground is on average 68f, and a geothermal heat pump is used to harness this energy. In the winter a ground source heat pump sends water through a heat exchanger, called loops, to absorb the latent heat and once it returns to the pump it warms the water to heat your home. The differential between the latent heat received and heating it to your desired temperature is far less than heating via a traditional system which is why for every dollar you spend on electricity it will produce $3 to $4 worth of heat. In the summer the process is reversed. The heat pump will take the heat from your home and run it through the heat exchanger to cool the water and will then return the cool air to your home. 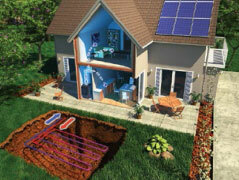 In this mode a geothermal pump is twice as efficient as using traditional air-conditioning or air to air heat pumps.